Whether you are hoping to take a hiking excursion or you wish to find a good meal replacement, not all energy bars are the same. 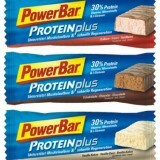 Our nutritional team has gone ahead and rated the popular PowerBar series of energy snack bars. What have we discovered and how will we rate this supplement? Our panel examined the ProteinPuls variant, as this is said to be the most popular series. At only 210 calories and providing 30 grams of high-quality protein from three different sources, our users were able to receive the energy that they needed during high-intensity training programmes. Also, the bio-availablity of this protein (how easily it is absorbed) was superior to many other brands that we have previously tested. 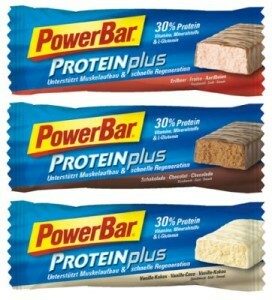 We observed that the texture of these snack bars was lighter and fluffier than the normal PowerBar selection. One of the first things to keep in mind is that this brand has been in existence for well over two decades. Therefore, it is quite trusted in terms of quality. As mentioned previously, the taste has dramatically improved; a massive benefit in regards to the rather unsavoury flavours of only a few years ago. We also liked the fact that whey protein isolate was present within the ingredients. This will allow for a maximum absorption rate. While a few users did not find the taste agreeable, this is actually quite normal in regards to protein supplements. The only major issue that we had was the amount of sugar appeared to be rather substantial considering the size of the bars themselves (12 grams per unit). While this may have been intentionally added to help improve the flavour, we feel that excess sugar detracts from the health aspects of the bar itself. Those who are looking for a tried-and-true protein bar will be pleased with what this variety has to offer. However, we recommend that you choose another supplement if you are diabetic or if you are concerned with your sugar intake. While our team purchased these bars in boxes of 45, you can always buy one at a time.